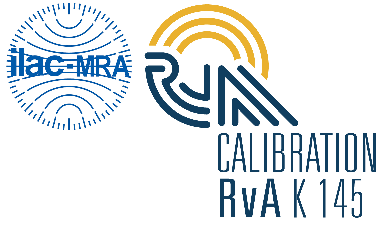 The calibration department of CYCLERtest BV (CelsiusLabs) is ISO/IEC 17025 accredited for temperature calibrations and on site calibrations of (q)PCR cyclers according to the accreditation scope (RvA K145). CYCLERtest is a leading manufacturer and provider of highly accurate thermocycler calibration systems and services. 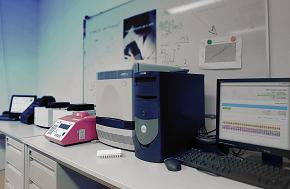 Through its highly accurate calibration tools CYCLERtest enables laboratories to assure its thermocyclers to perform according to specifications, in order to produce reproducible, trustworthy and technical valid PCR results. CYCLERtest is able to calibrate virtually any thermocycler, from basic PCR thermocyclers to highly advanced qPCR thermocyclers. The CYCLERtest on site thermocycler calibration service is ISO 17025 accredited (RvA K145) and thereby meets all international requirements of a manufacturer independent traceable calibration as demanded by the accreditation standards of ISO 17025 accredited testing labs, ISO 15189 accredited medical testing labs and ISO 13485 certified CE-IVD kit manufacturers. The on site calibration service furthermore complies to many other regulatory guidelines and standards like GMP, GLP, FDA, ASHI, EFI, NY State, CLIA, CAP etc. The thermocycler calibrations are performed with our MTAS tools by highly experienced qualified service engineers at the location of the laboratory to minimize down time and allow continuity of the laboratory. Besides its calibration services, CYCLERtest also provides DRIFTCON end user calibration systems to laboratories that perform in house calibrations. Complemented with the CYCLERtest qualification trainings the requirements of traceable in house calibrations can be met. Calibrate your (q)PCR cycler or incubator yourself! Suitable for all thermocyclers and incubators.